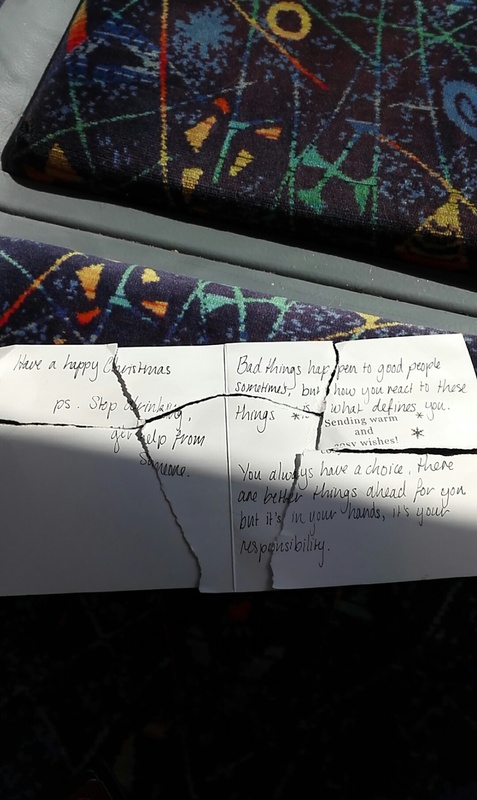 When a social media user found a torn Christmas card on their commuter train, they decided to put it back together. The result was a heartbreaking holiday message. "Stop drinking; get help from someone." The card's author also encouraged its recipient by writing "There are better things ahead of you but it's in your hands." Reddit user Burritobattlefield posted an image of the mended card to the popular website on Tuesday, earning over 5,500 upvotes in about seven hours. According to the user, the card was found on a train that runs the Cranbourne-Pakenham line in the southern Australian state of Victoria. Click here to see a larger version of the image of the card.